The endowment fund was created in honor of the late Jim Harvey, a community leader, former trustee of the Parks Conservancy, and champion of America’s national parks. Jim was widely regarded for his vision and commitment to the Presidio. The fund now exceeds $3.3 million and supports preservation of the Presidio’s natural beauty, forest, and open space. 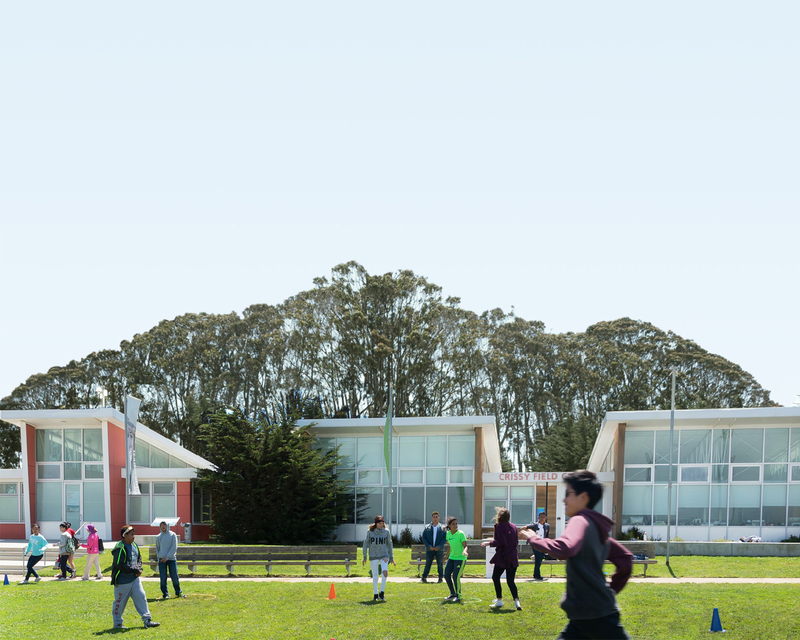 The Bernard Osher Foundation established this endowment fund, now in excess of $2.7 million, to create a permanent base of support for the Crissy Field Center and provide funding for our program areas: Community Connections, Learning Environments, Stewardship & Community Service, and Young Leaders. Initially created by the Wallace and Andrea DeSha Family to honor their friend Anne Kincaid, this endowment fund of over $135,000 helps protect wildlife habitat, restore trails, conserve natural resources, and support the native plant nurseries. This fund of over $90,000 was established by friends and family in memory of Mrs. Tang to annually support one public high school student from the San Francisco Bay Area in a scientific field study program in the Golden Gate National Parks. Students not only investigate environmental science in an outdoor “laboratory” but also play a key role as stewards of the parklands. To honor his colleagues who served at the 6th US Army Medical Laboratory in Fort Baker, Mark established this endowment fund of over $440,000 to support the Crissy Field Center and the Conservancy’s Trails Forever initiative. Leslie Daniels and her husband Troy established this fund, now valued at over $1.5 million, to support initiatives and innovations of the Golden Gate Raptor Observatory in honor of her brother Greg, who had a lifelong love for raptors and who through his adulthood was passionately committed to wildlife conservation. If you are interested in learning more about endowment funds that support the Conservancy’s work in the Golden Gate National Parks, please contact Audrey L. Yee, Esq. at (415) 561-3016 or ayee@parksconservancy.org.